Aeromexico, Mexico’s global airline, has announced that it is reupholstering its aircraft seats with ELeather’s environmentally friendly engineered leather, with the aim of upgrading passenger comfort while improving sustainability. 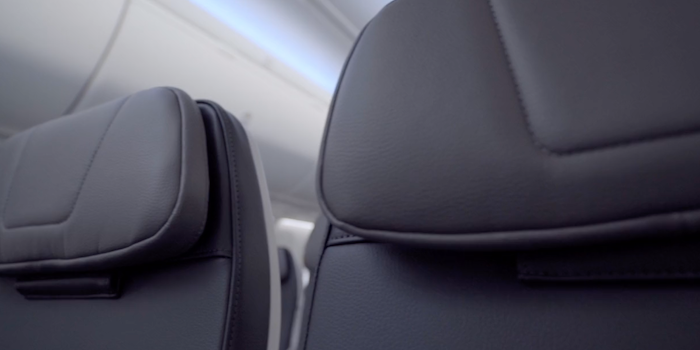 Thus far the airline has reupholstered seating on 64 of its aircraft, and plans to fit the material across its entire fleet in the coming years. ELeather diverts unused leather trimmings from landfill and reconstitutes it with a high-performance textile core to create engineered leather. According to the company, the material is five-times more durable and 50% lighter than normal leather. Watch this video to see what the main players in the project have to say.